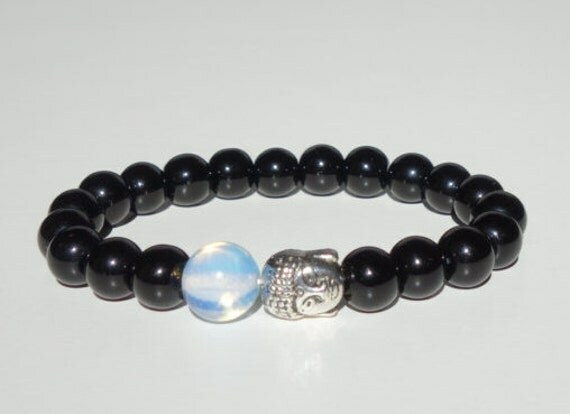 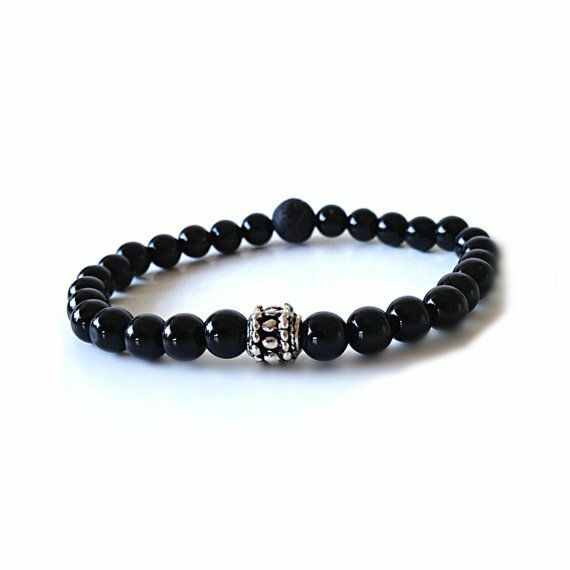 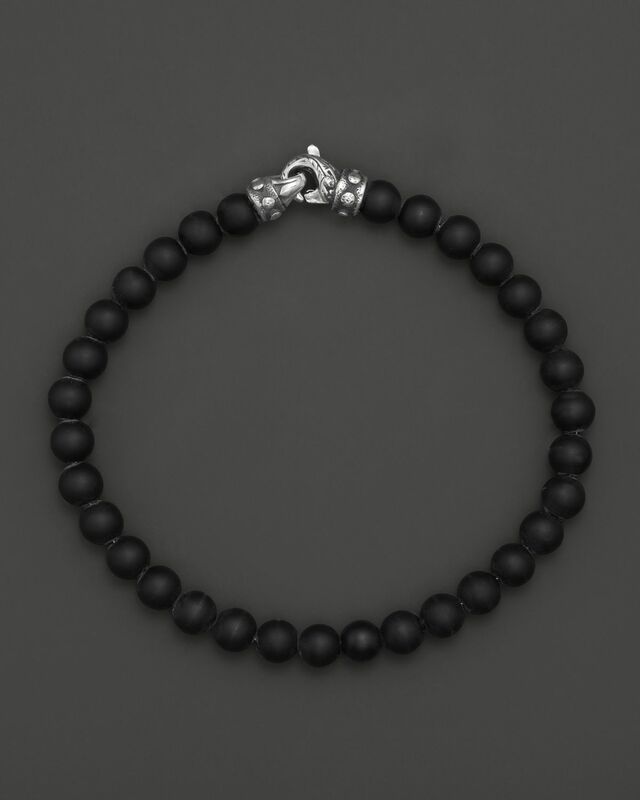 Genuine 8mm black onyx beads are strung along durable elastic cord centered by a intricately detailed sterling silver claddagh and Celtic knot link. 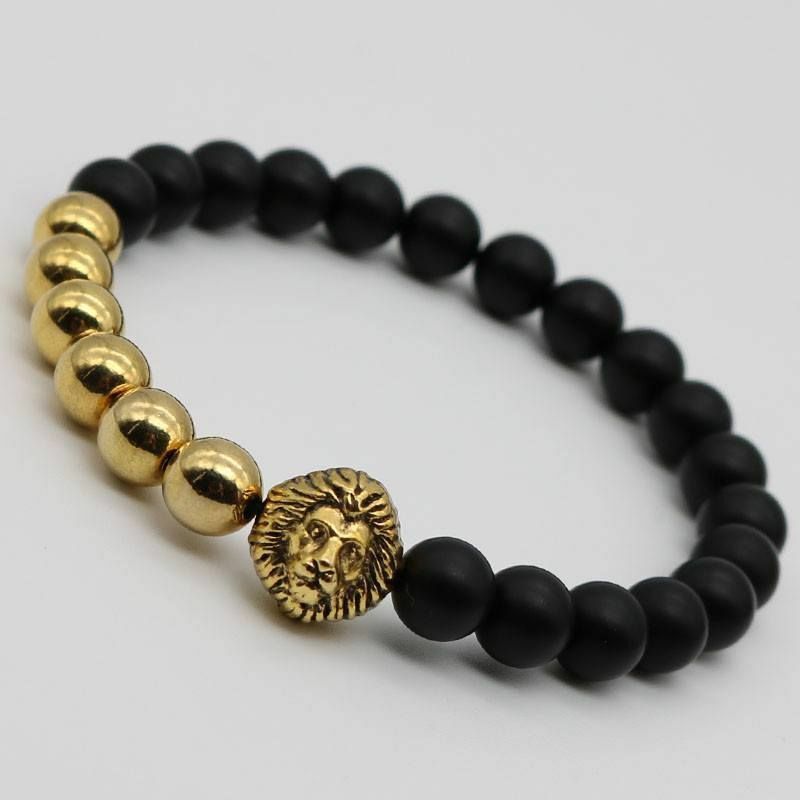 There is a gold filled feather pendant on one of the bracelets. 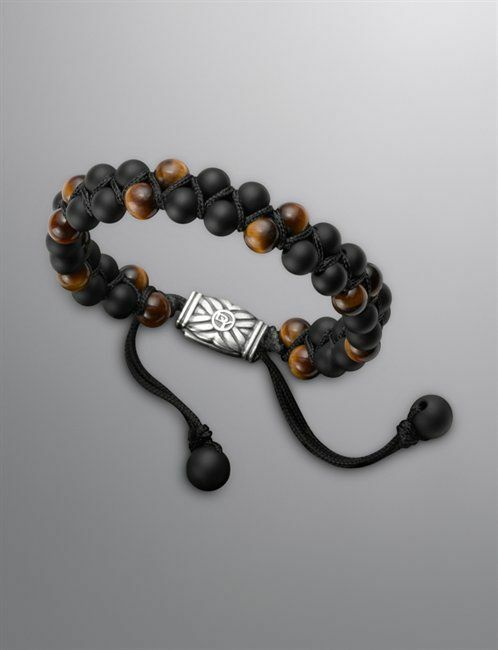 Burnished silver-tones and engraved pieces underscore nonchalant styling, while an enviable vintage appeal is achieved through signature carved monogram detailing. 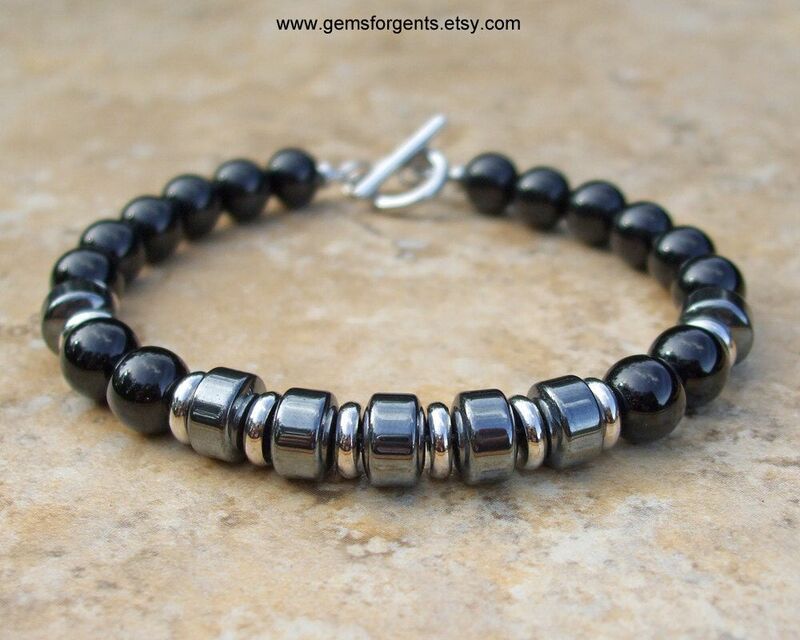 However, if you prefer a lobster claw or a different clasp just email me upon purchase. 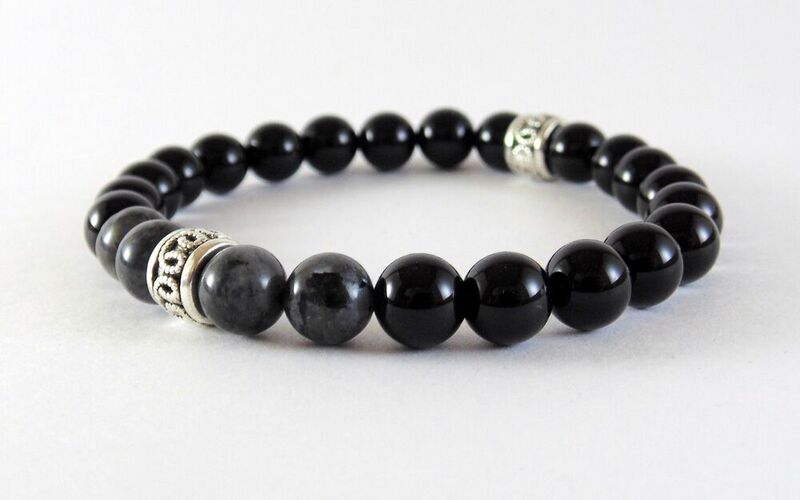 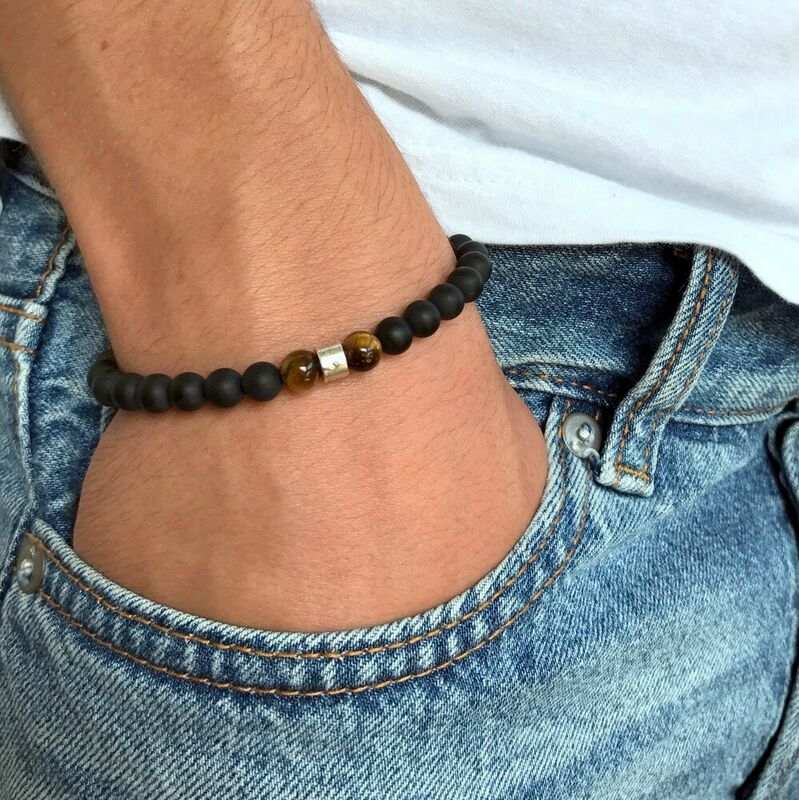 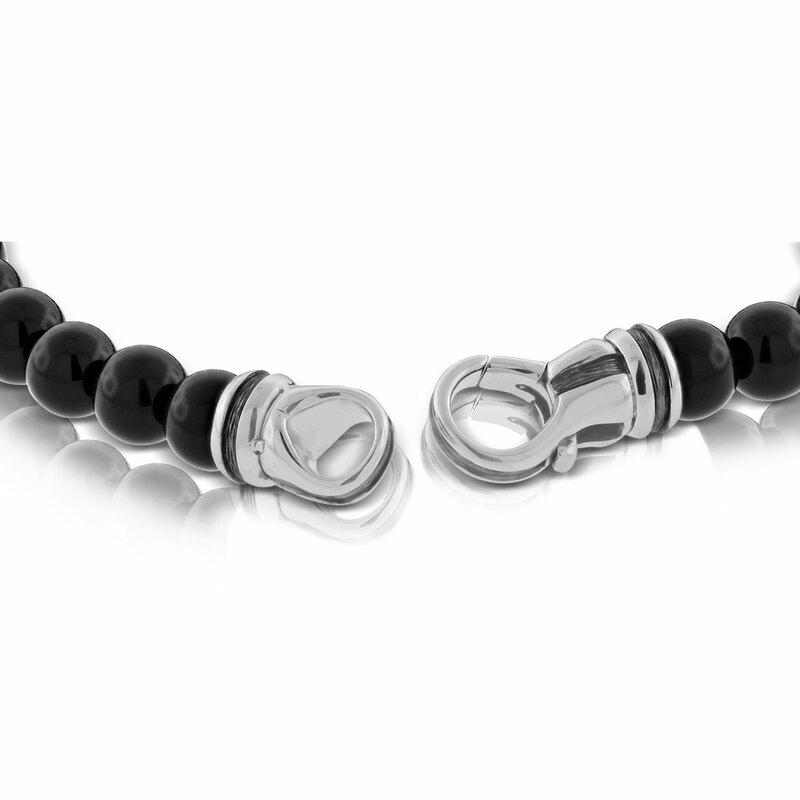 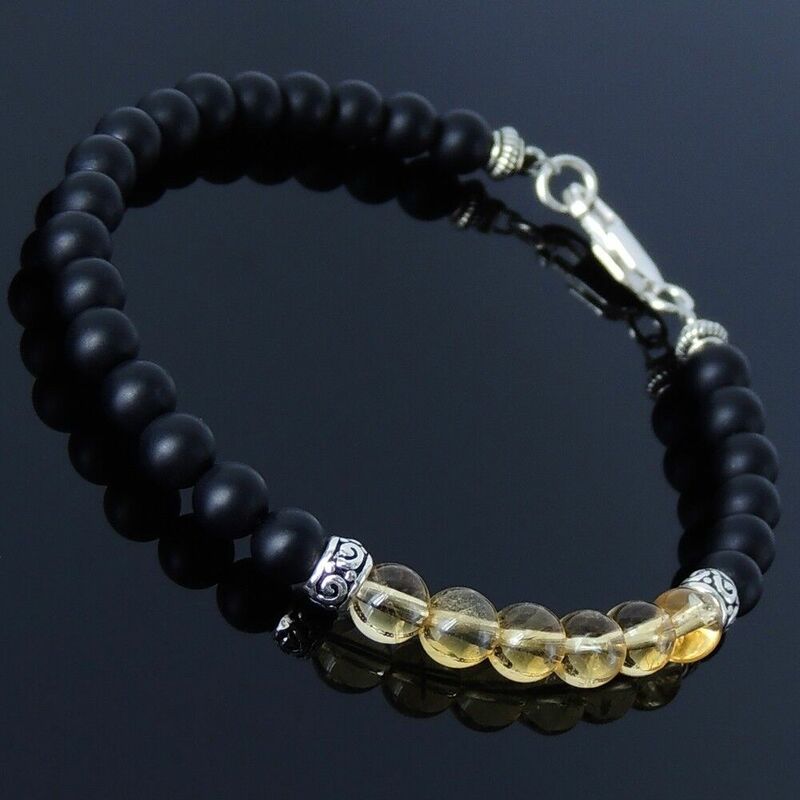 Accented with stainless steel closures, the beaded bracelet stands out with a string of onyx beads.